Wednesday, October 17, 2018, 5:30 p.m.
To sponsor the event click here. Oval – $3,000 – Table seating for 10, quarter-page ad in program book, recognition and name in event materials (if received by August 1, 2018). Princess – $5,000 – Table seating for 10, half-page ad in program book, logo and recognition in event materials (if received by August 1, 2018). Marquis – $10,000 – Table seating for 10, full-page ad in program book, logo link on St. Mary’s homepage, logo and recognition in event materials (if received by August 1, 2018). Radiant – $25,000 – Recognition from the podium, priority table seating for 10, full-page, priority-place ad in program book, logo and recognition in event materials (if received by August 1, 2018). Hope – $50,000 – Special recognition at podium, premier table seating for 20, full-page ad, premium placement in program book, logo and recognition in event materials (if received by August 1, 2018). For more information contact Daisy Guzman, Development and Communications Manager at 617-436-8600 ext. 493 or dguzman@stmaryscenterma.org. Wednesday, October 18, 2017, 5:30 p.m.
We hope you will consider supporting the event on Wednesday, October 18, so that more families may find that change comes from the Center, and join us as we honor Reverend Liz Walker with the John M. Corcoran Award for Excellence. 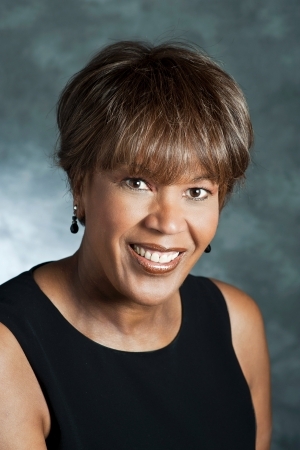 We are recognizing Reverend Walker for her extensive humanitarian work including her leadership as Pastor of the Roxbury Presbyterian Church, her advocacy in the Sudan with My Sister’s Keeper, and her support of survivors of violence and post-traumatic stress disorder. Senator Linda Dorcena Forry returns as our emcee of the event which begins at 5:30 p.m. at The Westin Copley Place Hotel and includes a reception, dinner, and speaking program. One of the highlights is hearing from an individual who has benefitted from St. Mary’s Center and your generosity. Last year was an incredible evening where Lorrie Higgins was honored, and Ms. Higgins along with Cardinal O’Malley, Gov. Baker, and Mayor Walsh all spoke about the need for support of programs and services for families seeking shelter, stability, and life-changing opportunities. 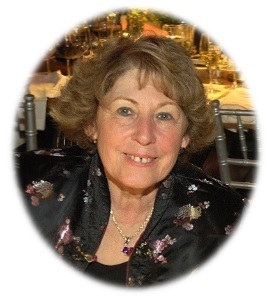 Throughout her life and career, Lorrie has been active in the community and her contributions and commitments have directly benefitted countless children and their families, including raising thousands of dollars for worthy causes. 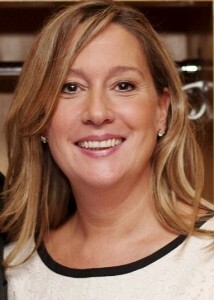 Her engagement in these causes has made a significant impact inspiring many individuals to give. 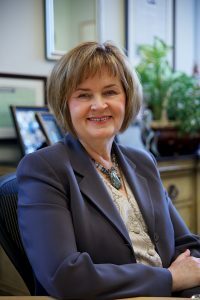 In addition, she has devoted countless hours visiting with patients in hospitals, meeting students and teachers throughout inner city schools, and creating opportunities for the community. 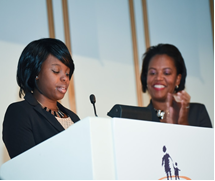 In 2015 and 2016, she served as co-chair of the New England Women’s Leadership Awards (NEWLA) for the Boys and Girls Clubs of Dorchester. Under Lorrie’s leadership and guidance as chair, NEWLA had its two most successful years of fundraising since the event’s origin nearly 25 years ago. 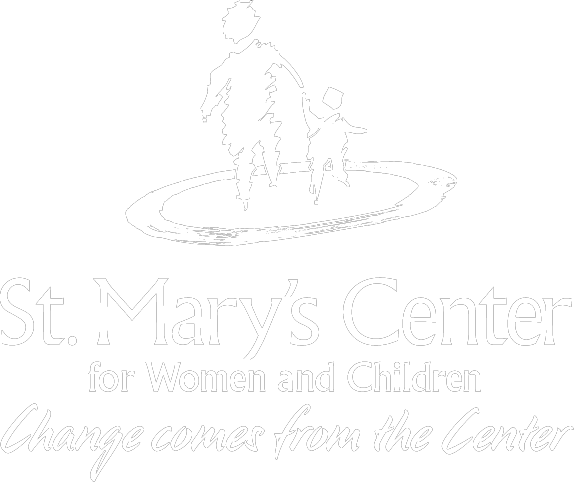 The event celebrates our community’s efforts in supporting St. Mary’s Center’s ongoing partnership with young women, many of them mothers, to find that change truly does come from the Center. The special evening included a presentation of the John M. Corcoran Award for Excellence to Angela Menino for two decades of incredible advocacy and tireless support of our community as well as St. Mary’s Center from the agency’s very beginning. A second Corcoran Award will be presented to AGC MA for the organization’s extraordinary commitment to the non-profit sector through its annual day of service transforming St. Mary’s Center’s campus, Rosie’s Place, and Bridge Over Troubled Waters. 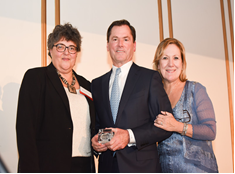 St. Mary’s Center honored State Street Corporation and Joseph (Jay) L. Hooley, President, CEO, and Chairman at the 11th annual event on November 12, 2014 at the Fairmont Copley Plaza, with the John M. Corcoran Award for Excellence.